Federal government has still not agreed to pay half of project to create first bus rapid transit line in region. The City Council approved $17.7 million for the Division Transit Project being planned by TriMet as the region's first bus rapid transit line. The project team continues to advance the project as TriMet and its partners work to secure federal funding. Depending on when funding is approved, construction could start in 2019 and the project could be completed in 2022. Or the project could be delayed if the funding is postponed. The local funding approved by the council on Aug. 15 includes $2 million in-kind services and $15.7 million in Transportation System Development Charges, one-time fees that developers pay to help the transportation system accomodate population and job growth. 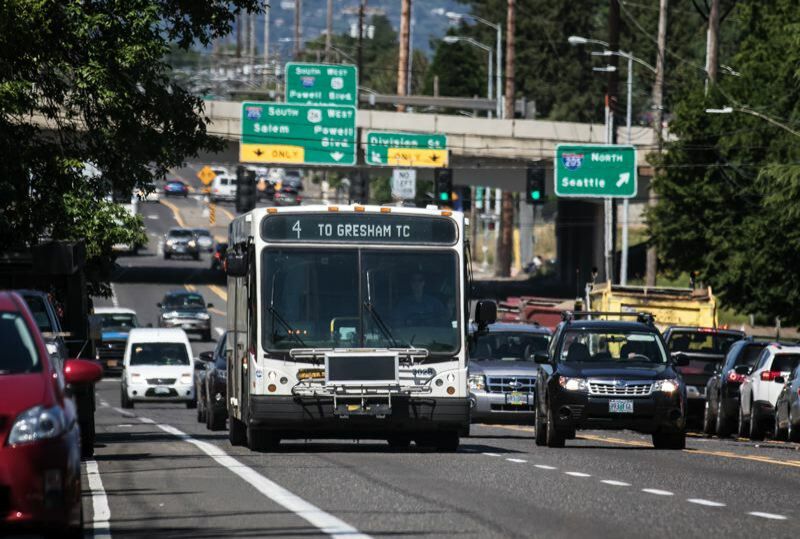 The 15-mile project is intended to bring high-capacity bus service to Southeast Division Street between downtown Portland and Gresham, resulting in easier, faster and more reliable trips. It is expected to make bus trips 15 to 20 percent faster on a route that already serves more than 10,000 bus riders every weekday. The project was originally planned by Metro, the elected regional government responsible for transportation planning, and is now being administered by TriMet, the regional transit system that will own and operate it. The Portland Bureau of Transportation is leading the city's participation in the regional project. PBOT is working with the Portland Housing Bureau and Prosper Portland, formerly known as the Portland Development Commission, to ensure affordable housing is developed and local businesses are supporte as the line is planned and built. The project had originally included a portion on inner Southeast Powell Boulevard, but it proved unfeasible. To learn more, visit trimet.org/division.